Use a commercial pocket hole cutter like the one shown on page 82 or a shop-built jig like the one shown above to make the pocket holes. 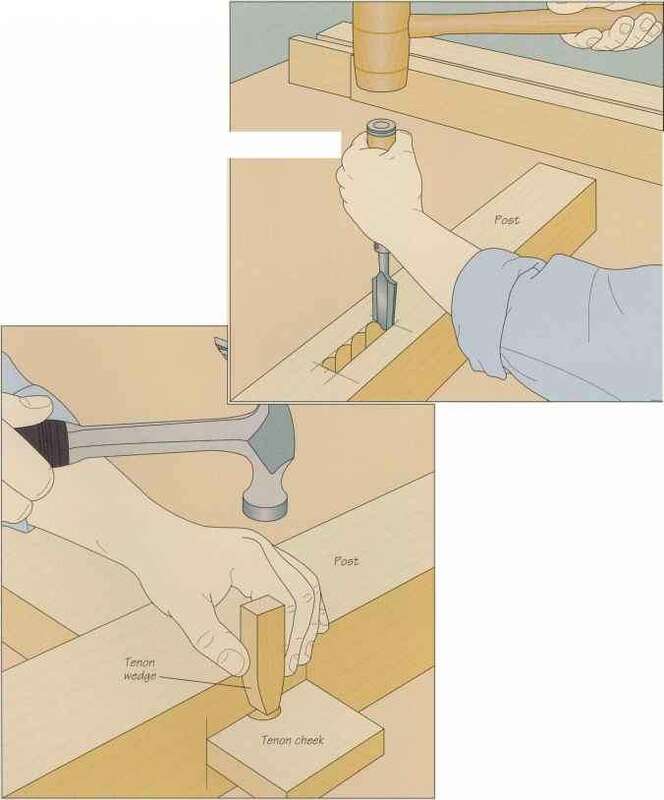 This jig consists of two pieces of 3/4-inch plywood joined to form an L-shaped cradle and two support brackets that angle the cradle at 15° from the vertical. Seat the workpiece in the cradle, and align the stock so the clearance hole will exit in the middle of the board edge. Install a Forstner bit and drill a hole just deep enough to recess the screw head (above). Then install a brad-point bit and bore the clearance hole through the workpiece.